Android Oreo introduced new Bluetooth features called Bluetooth audio codec. You can manually change Bluetooth audio codec on android 8.0 Oreo under developer options. Android Oreo has seven different Bluetooth audio codec options for choose. This Android O Bluetooth audio codec feature is useful to improve sound quality and provide better audio experience in your device. In android Oreo devices, you can see several Bluetooth audio codec options including Bluetooth audio simple rate, Bits per sample, channel mode and LDAC codec playback quality. You’ll change Bluetooth music output quality by changing Bluetooth audio codec in android 8.0 Oreo devices. Follow below given step by step guide to change Bluetooth audio codec on android 8.0 Oreo devices such as Google Pixel, Pixel XL, Pixel 2, Nexus 6P/5X etc. 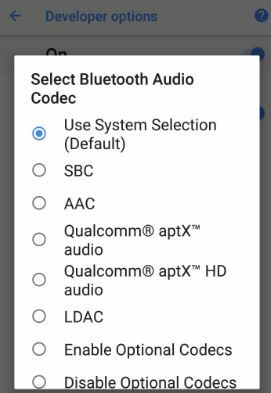 Android Oreo includes SBC, AAC, aptX, aptX HD and LDAC Bluetooth audio codec options. 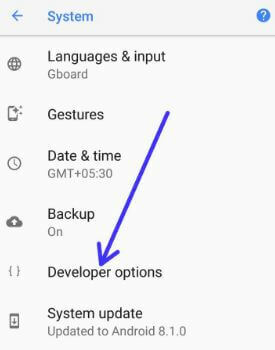 To change Bluetooth codec on android Oreo, make sure enable developer options in your device. You can enable developer mode in your Oreo device using below settings. You can see this message on your device screen: You are now a developer! By default set audio codes as system selection. 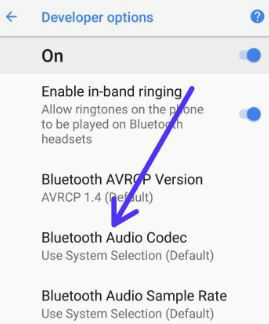 Are you using the Bluetooth Audio codec feature on your android Oreo device? 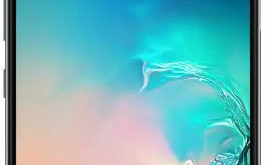 Have any questions related change Bluetooth audio codec on android 8.0 Oreo? Feel free to leave them in the comment section. Check out our other android Oreo tips and tricks. I do see “about phone”, but I don’t see anything called “build number”. I tried clicking on everything 7 times and nothing happened.